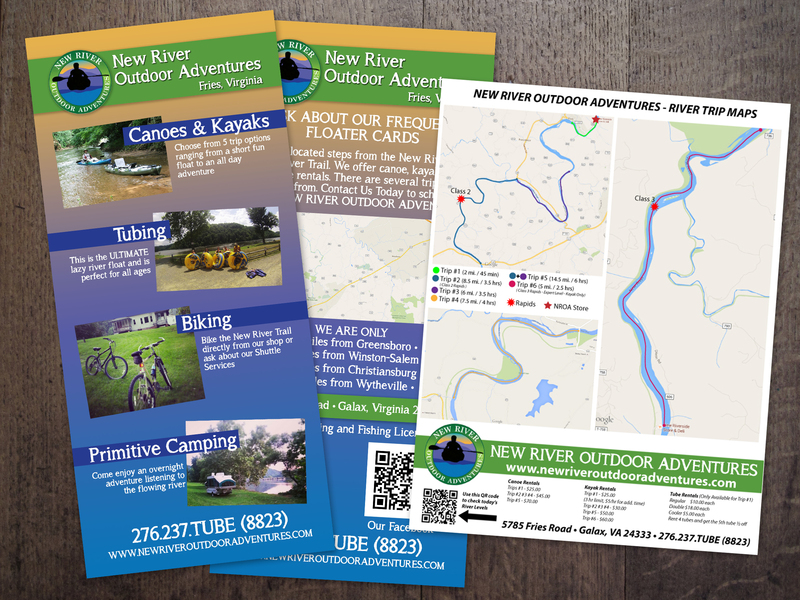 NROA looked to us when it came time to do some rack cards. We also put together a river map for them to pass out to their customers. They wanted to be able to show off all the awesome things they provide down at the river!